1 Mahadev is known as the lord of lords? Mahadev is known as the lord of lords? There are more than millions of gods in India. Then why only Shiva is known as the lord of lords? This post will describe the meaning of Shiva and being Shivoham. Let's try to figure out it. Shiva is an integral part of Trinity which includes Brahma Vishnu and Maheshwara (Maheshwara means Shiva). 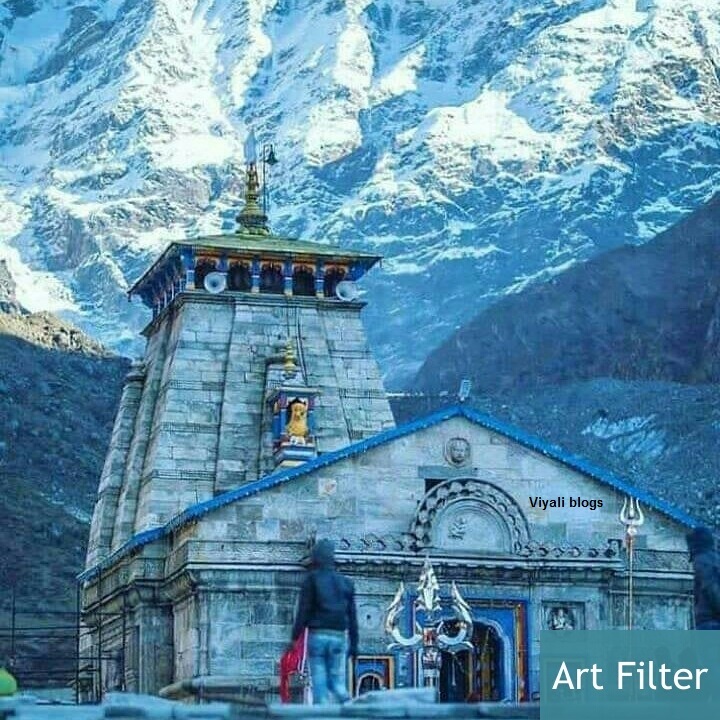 Famous for his simplicity as bholenath, Shiva is the only lord recognized for living with his devotees on earth in mystical form. Sanatana Dharma is known for having millions of gods and goddess. Each one of them has their significance, but the qualities of Shiva keeps him topmost of them. It doesn't mean whom you worship, but everyone's prayer answered by a supreme lord. He manifests himself into various forms whether people adore any personification of his holiness. For example, Qualities of Lord Hanuman are mesmerizing. Lord Hanuman is an exemplification of selfless devotion for Ram Naam. One can learn many life lessons from Hanuman who is also known as Lord Maruti. Following the virtues of Lord's personification has the strength to make someone's life blissful. Hence, Sanatana Dharma is only religion in the world having no founder. India is the land of the Sanyasis and Yogis. Just by moving to few miles from one location to another the deity get's changed, but belief system remains the same. Therefore it is impossible to understand this majestic and holly Land known by the name of India. That is the beauty of the Indian Soil which defines why India is diversified. That is the meaning of Shiva which gives inner peace to the person who visits India after a long time. In reverence of their distinct deity, people revere all of them with the same faith as they worship their divinity. In the higher aspect, they know that all belong to one mighty lord. Similarly, The people who have the depth knowledge of Dharma see every deity as the manifestation of the one shapeless supreme entity. Worshipping any deity means worshipping a pathway which ultimately gets dissolve in that supreme consciousness. It is like a flow of the river Gyan Ganga which conclusively gets absorbed at the ocean. Among all the deities, Trinity is the highest layer of the supernatural dimension. In which Brahma is Creator, Vishnu is the protector, and Shiva is the Hindu god of the destroyer. Some believe that Shiva is most dominant in Sanatana Dharma where other argues that Lord Vishnu is the most powerful and protector of the world. In reality, the comparison between Vishnu and Shiva makes no sense. Shiva even never asked anyone to worship him; he stays in the state of absolute consciousness. He doesn't need anything; He is indeed everything who exist in the bilateral nature of existence in which one is shapeless, and others have the physical presence. He dissolved himself in his purest form; it is the reason Shiva resides within everyone as Shivoham and holds the responsibility of Omniverse. Shiva's spiritual eye on the middle of his forehead is the exemplification of it. Therefore, Shiva is free from every bond and unmanifested who doesn't believe in the conventional style of living and known as Bhootnath. Shiva never takes birth as a human in the earth whereas Vishnu does for protection of the Dharma, righteousness. That why Vishnu emerged first for protection of the Dharma before the creation of the Dharma. SadaShiva manifested himself as Rudra after Brahma's emerge from Vishnu's Navel lotus. Shiva is a Vairagi attached with a thin thread of devotion by his devotees. Lord Vishnu is the Narayan, the one who is most dear to Shiva. Narayan stays in the heart of Shiva; therefore Shiva didn't swallow the Halahal so that it could not reach to Shiva's heart where Vishnu resides as Narayan. Indeed, Shiva is Vishnu and Vishnu is Shiva, collectively known as Harihar. Once Shiva projected his half body as Lord Vishnu and Half body as Shiva. Therefore genuine devotees of Shiva also worship Lord Vishnu. Shiva's name is too dear to Vishnu that Narayan loves chanting Shiva's auspicious mantra Om Namah Shivaya . Out of many names of Shiva, Vishnu-Vallbha means the one who is most dear to Vishnu. There will be no Shiva without Vishnu and no Vishnu without Shiva. One of the interesting facts is that Shiva never worshipped anyone, but Vishnu's every avatar worship shiva for seeking strength. Shiva is Aradhya of every Vishnu avatar including Parshuram, Ram, Krishna. Whereas, Shiva admires the virtues of everyone. It doesn't matter whether you worship Shiva or Vishnu; remember that you are worshipping one shapeless supremacy in the highest aspect. Shiva's lingam form is that aspect. Lingam has Brahma in his lower segment Vishnu in middle and Shiva in the top. In that aspect, Shiva is everywhere and within everyone and no Shiva devotees is interested in proving his dominance over others faith. It is the nature of Shiva devotees why they are calm and meditating all the time and indulged into Yoga Dhyana. There are many lessons which people can learn from Shiva. One of the best is knowing the qualities of Shiva as a husband of Goddess Shakti who has manifested herself as the Goddess Parvati. Therefore Shiva is also Shaktipati who lives in Mount Kailash. They make the ideal couple and exemplification of phenomenal lovers, a supreme force of nature in Hinduism that makes Shiva as Lord of the Lords. 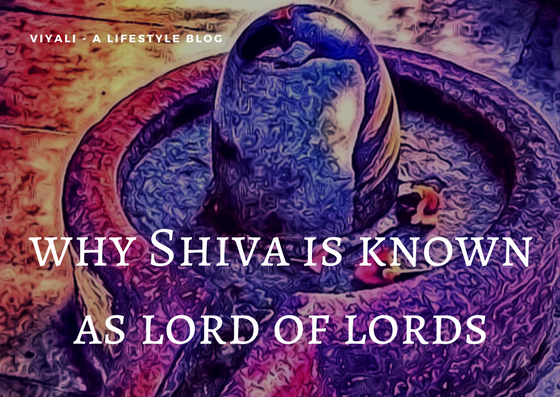 In this post, we have shared why Shiva is known as the lord of the Lords? If you liked the post, please feel free to share it on the web so that others could know. We appreciate your generosity. We will be thankful for your kindness.